Strong hooves, healthy tendons and ligaments are essential if you and your horse are going to accomplish your goals. 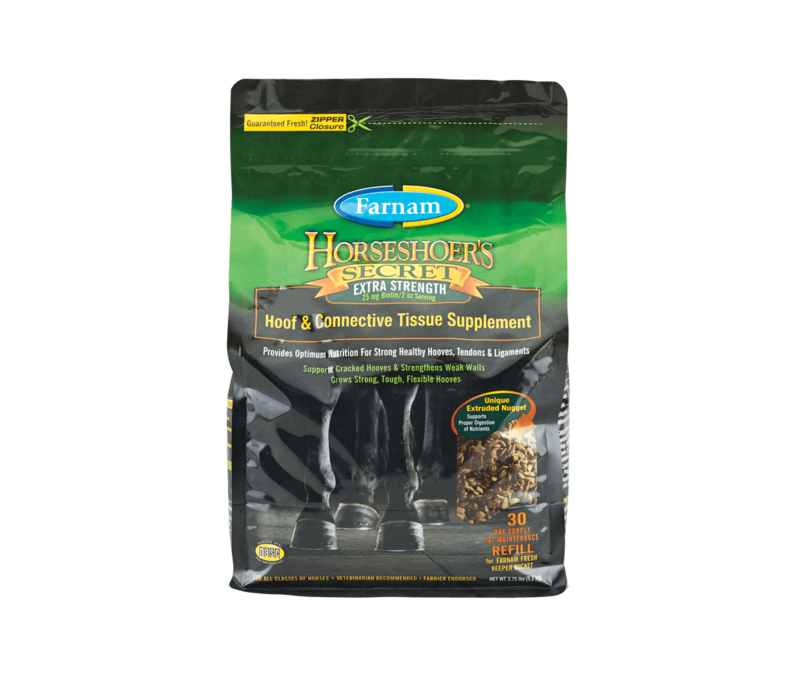 Now you can feel confident you're providing vital nutritional support for your horse's foundation with Farnam® Horseshoer's Secret® Extra Strength Hoof and Connective Tissue Supplement. This formula is ideal for all horses, especially those that need more support than others due to a genetic predisposition, environmental or rigorous performance demands. When your horse needs extra support, trust the brand recommended by farriers and veterinarians. Initially feed 4 ounces (2 scoops) per day for 6 to 8 months. For maintenance, feed 2 ounces (1 scoop) per day.